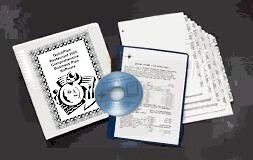 Based upon a Full Service 200 seat restaurant and bar, this plan is designed to edit easily to cover any variations in the creation of your Italian Restaurant, Full Service, Quick Service or Fine Dining. The continued rebound in GDP will also affect real disposable income growth. Real DPI increased 1.8 percent in 2010, compared with an increase of 0.5 percent in 2009. Adjusted for inflation, per-capita disposable incomes have been struggling for the past two years and are currently at about the level first achieved in November of 2007. 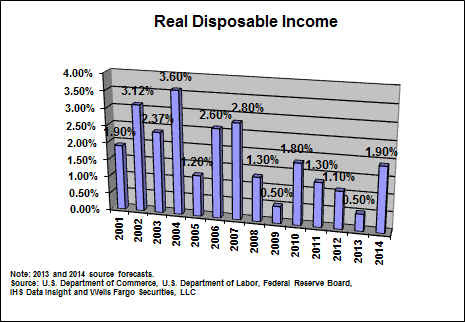 Current expectations are for only 1/2 of 1% disposable income growth in 2013 with a solid 1.9% in 2014. Most of 2011 saw a slow decline in incomes, a trend that began reversing in November of 2012. 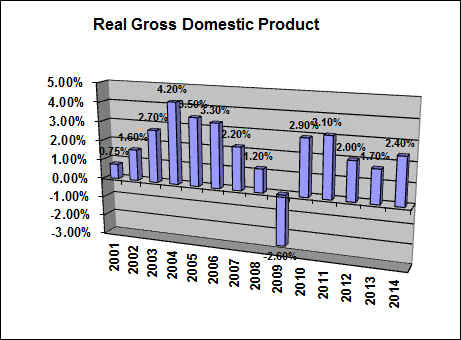 Real GDP growth was approximately 2.0 percent in 2012 and current expectations by the CBOE are 1.7 percent in 2013 with the economy gaining momentum in the second half of 2013. It then assumes an average growth rate of 4.1 percent for the years of 2014 to 2017. While food-price inflation was a typical 2.2 percent during 2012, it’s expected to be nearly 4 percent, maybe more, during 2013, as the impacts of last year’s drought finally come into play, according to a recent report from the U.S. Department of Agriculture. The unemployment rate is assumed to be mostly unchanged from current levels. We do not reach “full employment” for several years, with the forecasted unemployment rate being 5.6 percent by 2017. With less uncertainty by businesses and investors as to tax policy this year and next and with rising expectations that split government in Washington will slow the explosion in government spending the economy looks poised for sustained growth as businesses and investors get back to the business of growing and expanding the bottom line. While the industry is expected to grow in 2013, the top challenges cited by restaurateurs are food costs, building and maintaining sales volume, and the economy. Giving consumers what they want will be crucial for restaurant operators in 2013. As the recession has caused 8 out of 10 consumers to cut back on spending to some degree, it is more important than ever for operators to nudge those guests into patronizing their restaurants. For operators just getting started this may be the best time within the business cycle to plan and open your new facility understanding that with interest rates still at all time low levels and marginal operators going out of business you will have accounted for the marginal efficiencies necessary to not only survive against the competition but to thrive as we cycle once again into economic expansion. 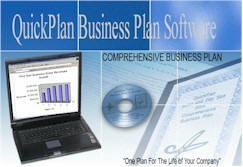 2013/14 Restaurant/Industry Analysis/Outlook through 2013. Even covers growth rate by State and Region detailed SIC(5812-08). Just updated in November of 2013. 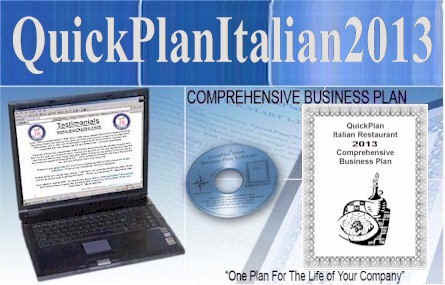 Italian segment specific Industry analysis segment covering both Full and Quick Service Outlook through 2014. Five year Forecasting Matrix (FSR) For Full Service Italian Restaurant your numbers generated vs. the current FSR Industry operating ratios for all 5 years month to month. Make your first impression count and concentrate on getting your Italian Restaurant open!